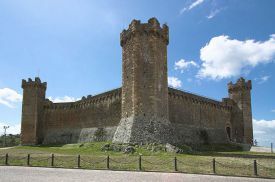 Montalcino and its Brunello wine - shared, full-day wine tasting tour. 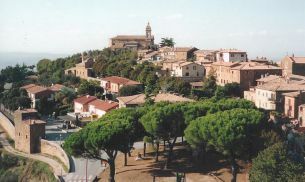 Montalcino, the mediaeval town south of Sienna, is home to the Brunello vineyards that produce the famous wine of the same name from sangiovese grosso grapes. Brunello is one of the best known and most widely appreciated wines world-wide and our aim is to get to know and understand it in its "native habitat". Brunello originated about a century ago as a distinct appellation, as a result of a continuous vine selection and winemaking experimentation. The regulations defining Brunello are very strict. The production area is limited to the territory of Montalcino, the grapes are a special sangiovese grosso clone known in Montalcino as Brunello, the alcohol level must be a minimum of 12%, only Bordeaux-style bottles may be used, and the wine must be aged for five years after the harvest year (six years for the Riserva). Finally, the bottling must take place in the production area. These are the steps taken by the Brunello producers consortium to protect their brand and the maintain the quality of the wine. During our drive to Montalcino, we’ll have the opportunity to see the unique landscape to the south of Sienna, known as the Crete Senesi (Siennese clays), desolate and arid badlands devoid of vegetation and streaked with deep crevices created by the surface water draining down from the peaks. Your transport will be our comfortable minibus which is the most relaxing way to see the countryside without any worries about winery appointments nor road signs. And you’ll enjoy the expert commentary of your driver-guide while in transit and wine tastings with your personal sommelier. 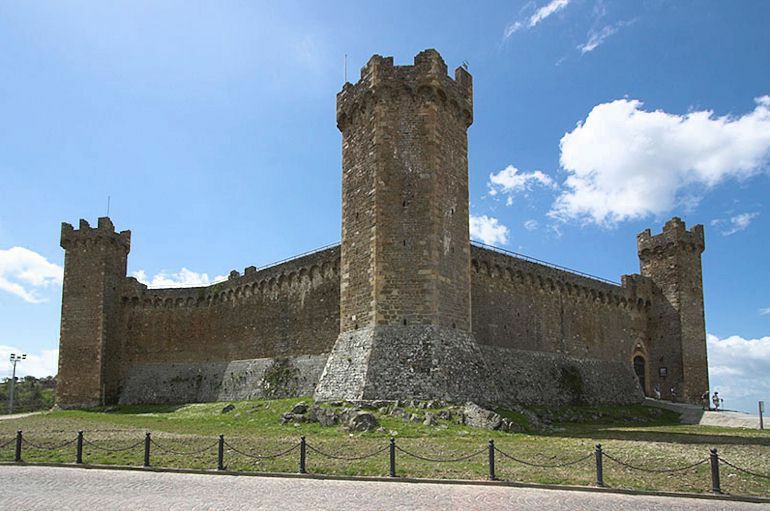 Before reaching Montalcino, we’ll stop at a characteristic Brunello vineyard, where you’ll see the cellars and Brunello aging in oak barrels. You’ll taste a Rosso di Montalcino and the Brunello di Montalcino, we'll discuss the differences between these two types of wine. We’ll walk through the vineyard and olive groves to learn about about the Brunello grapes, sangiovese grosso, called Brunello by the locals because of its comparatively small size and brown skin. Next, we’ll have a Tuscan lunch in a charming restaurant under the Tuscan sun or directly at the second vineyard together with the owner. At a second Brunello winery, you will meet the owner and he will explain you all the techinques and secrets of Brunello wine. • 11.00 a.m. Arrival at Montalcino and visit to the first winery, where you can meet the wine grower who will show you the techniques of viticulture. Wine tasting. • 1.00 p.m. Light lunch at the local restaurant or in a winery. • 2.45 p.m. Driving along the hills where you can see the different type of vineyard. • 3.30 p.m. Visit to the second winery, where you can visit the cellar and do a wine tasting. • Return to Florence at approx. 6 p.m.
What time does the tour start? At 9.00 a.m.
What time does the tour end? At 5-6 p.m.